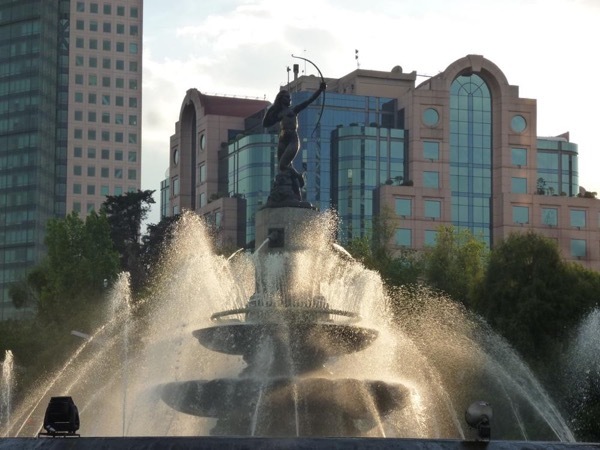 Traveler Reviews for Private Tour in Chapultepec Reforma, Distrito Federal, Mexico by Tour Guide Monica Y. About Monica Y. Message Monica Y. Had a great day seeing the historic areas with tea at the hotel where The opening scene of Spectre , James Bond , Daniel Craig was filmed . Wonderful day with a great guide. Monica was very knowledgeable extremely friendly and did everything possible to show us as much as possible in the time we had. We were very impressed with her and her professional attitude. We will and have already recommended her to others. Monica was Amazing! Our stay in Mexico City was absolutely wonderful thanks to Monica! We really enjoyed her company, knowledge of the History of the city and how to get around such a big busy city. We highly recommend her! Thank you!! Monica is extremely well informed and delightful to tour with. 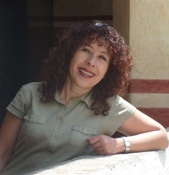 We have used tours by locals worldwide and Monica is one the finest guides we have had. What a wonderful day! We felt an immediate connection with Monica and hit it off like old friends. Monica soon discovered our interests lay in Art and off we went on a wonderful journey through the streets of Mexico City. We chased the day as we had so much to see and even managed to squeeze in a surprise visit to an amazing exhibition of Day of the Dead Shrines! Monica has so much knowledge and is so much fun to be with! And she knows her city so very well. Monica is a very knowledgeable and personable guide! She took us to so many interesting places, many which would be overlooked normally. She is extremely knowledgeable of the area and shared many great tips and ideas with us. We could not have been more pleased with the experience and learned so much about Mexico, it's history and culture. We are so happy I just booked another tour with her for later this week! Highly recommend this guide! You won't be sorry!! TOUR GUIDE RESPONSE: Thank you, Laurie! I'm very pleased with such a good recommendation. It was a pleasure meeting you and I enjoyed very much today's tour. That's why I love my job because I have the opportunity to meet wonderful people like you. See you on Wednesday! This was my husband and my first trip to Mexico City. Monica is so knowledgeable and enthusiastic about Mexican history and culture. We had done some research on what we wanted to see which she included in the tour but she added many intriguing stops that we would never have discovered on our own. It was a great introduction to the city. Excellent guide- very knowledgeable. Monica set the pace of the tour to suit our interests and stamina. We enjoyed being with her and would use her again. As a former guide at Museo Nacional de Antropologia, Monica knows her stuff. Monica provided us with an excellent customized tour for our only day in Mexico City. Her commentary was thoughtful, precise, and engaging. She is an excellent tour guide who has deep knowledge of Mexico, as well as a love of the history and culture of the country. If you know Mexico, you know it's not easy to get around the city. Door to door pick up, exquisite locations and an outstanding guide are well worth the time and cost. TOUR GUIDE RESPONSE: Thank you, Jackie! I like very much your comments and feel very pleased because it means that you enjoyed a lot the tour. For me it was very important to please you and made you have a memorable experience. My best wishes for you and Mike! We loved our Mexico City private tour with Monica very much. She told us much about Mexican history, showed a lot of beautiful buildings, and we had a wonderful lunch with her in a typical Mexican restaurant. We surely can recommend Monica! TOUR GUIDE RESPONSE: Hi Dorothy, thanks for the testimonial. As well I enjoyed a lot being with you and your family! Best wishes! Monica is wonderful! She is so knowledgable and energetic. She is accommodating and really cares how you enjoy your tour and your trip. Couldn't be better! Monica is a pearl for all mexico city visit! TOUR GUIDE RESPONSE: Happy to hear from you! I'd love to know how it was your adventure in the Southeast. My best congratulations for your journey, you made it! I embrace you n' your beautiful family affectionately. Saludos! AWESOME! Monica's encyclopedic knowledge is only matched by her enthusiasm in sharing it. Highly recommended! TOUR GUIDE RESPONSE: A pleasure being with you! Happy New Year! We spent four wonderful days with Monica last year. She was amazing. This was my third tour with Monica and she again performed perfectly: arriving on time, being flexible with my requests, and providing me with memories that I will never forget: touring the Palacio de las bellas artes, lunch in Franz Meyer museum, a trip to Polannca and the music conservatorio. I felt like I could ask to do anything and she would know how to get it done, including helping me ship a box home at the end of the day! I cannot say enough things to recommend this woman as a guide. This was the day I fell in love with Mexico City. Monica was the perfect guide to show me the architecture and explain the history of the central district and the Zocalo. I think I tested her resourcefulness by asking to go to some bookstores and to the musician's district, which she managed in great style. We had a special lunch in a beautiful restaurant. This city can be chaotic, but also enchanting and this day gave me a taste of that.